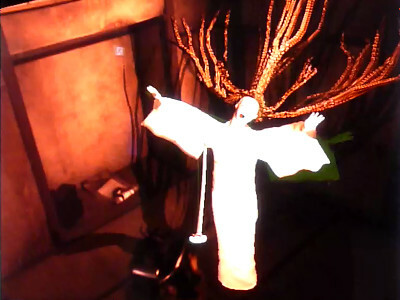 Traditional haunted house became much reinforced with latest virtual-reality technology. 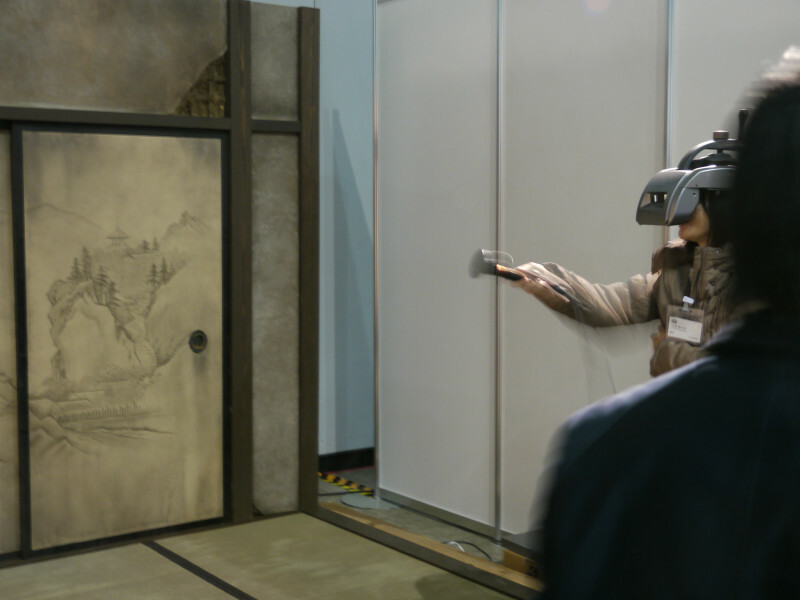 In this "Kaidan", you become a samurai and slash ghosts floating in front of you. This impressive demonstration was done at SIGGRAPH ASIA 2009 and called much attention of audiences. 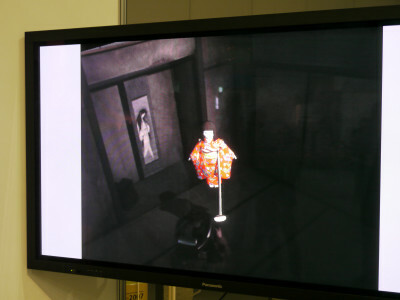 The player sees the world through a head-mount display. The monitor shows what players actually see through the HMD. The haunted doll goes away and phantom in kimono appears. She seems to be really angry with the intruder. But we audiences can't see anything. 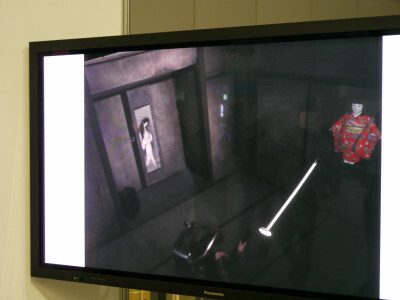 The game will be more interesting if it have multi-play mode.